MIT’s Computer Science and Artificial Intelligence Lab has developed a new prototype drone that can both fly and drive, and will determine which method to use to optimize battery life, speed and efficiency. It’s a preview of how autonomous urban transit might one day work, with flying cars switching seamlessly between roads and airways to navigate dense urban environments in concert with one another. The MIT-developed system operates in a scaled down model of a city block, complete with traditional roadways, buildings and mock green space. The prototype can theoretically work with up to 80 vehicles cooperating effectively at the moment, navigating landing pads, streets, no-fly zones and more without issue. Researchers at CSAIL created eight quadcopter drones that can also scoot along on wheels on the ground, with a max travel distance of up to 252 meters when driving, or 90 meters of pure flight. 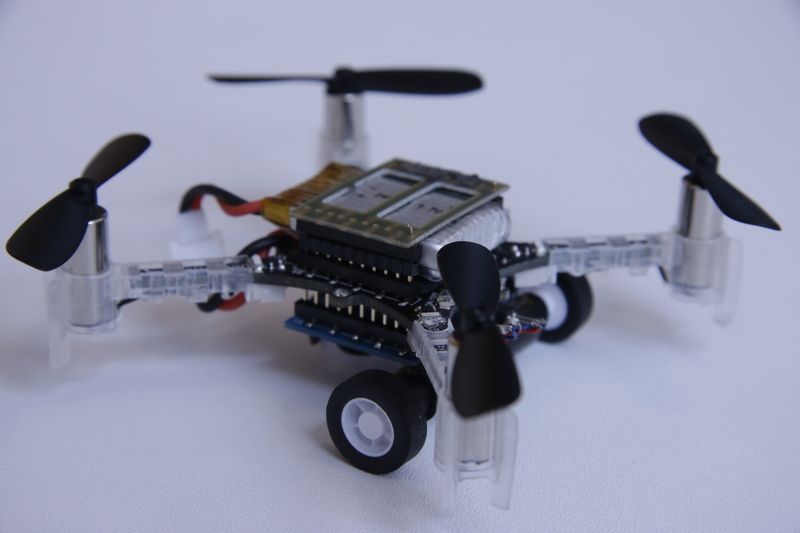 The team noted that many animals in nature will transition between flight and walking when convenient and necessary, including birds and insects, and designed their bots to do the same, negotiating both modes to maximize battery life. Credit: Alex Waller, MIT CSAIL. Flying cars are an area of heightened interest for researchers and private industry as they seek to figure out ways to improve how we get around in ever denser city settings. One of the major constraints remains battery life, however, since pure flight requires a lot more power than driving, and current battery tech doesn’t allow for very much continuous flying time without charging. A blended system could theoretically alleviate traffic while minimizing the need for battery tech improvements, ultimately helping to make flying cars a reality much faster. This is one of the coolest ideas I’ve seen when it comes to how we might be able to make flying cars actually useful in everyday life. It’ll still take a lot to get from concept to reality in terms of a full-scale system, obviously, but it’s a start.